Southbourne Canoe Club has secured a night at South Coast Canoes on Friday 18th March at 19.00hrs till 21.00 hrs . This is aimed at paddlers who would like an intro to trip planning and navigation ,or if you would just like to brush up on your skills . 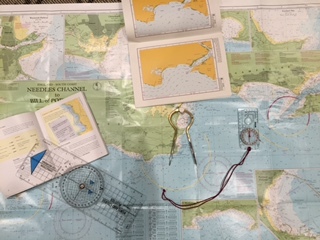 The night will consist of a simple introduction or refresher course on navigation . Various coaches / leaders will be sharing there expertise on trip planning . As a group the aim is to plan a sea kayak trip that hopefully would go ahead in the Summer . There will also be a quiz that you will all learn from . Light refreshments will be available plus plenty of tea and coffee . So please add your name on the forum or Email me .